I don’t know if it gets much better than a perfect boiled ear of corn on the cob with a generous dousing of salt and butter on it. 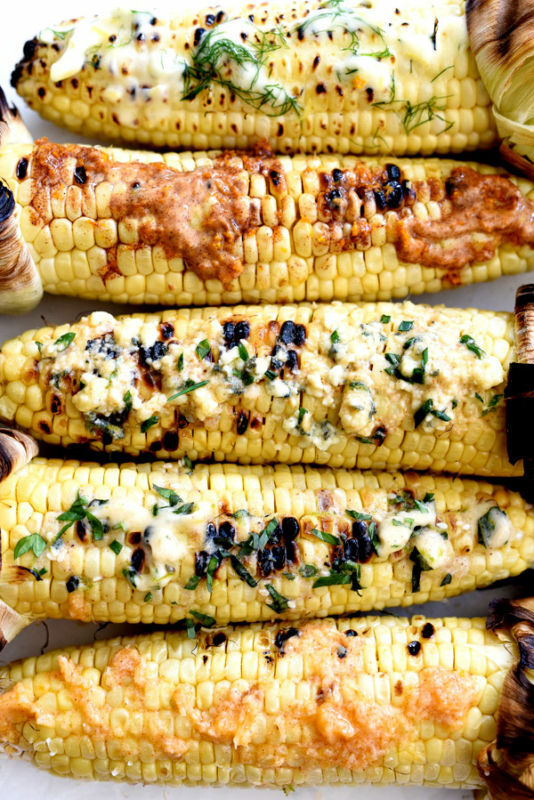 But if it did….it just might be grilled corn on the cob with a generous dousing of seasoned butter on it. That subtle smokiness and those gorgeous grill marks on the corn only add to the experience and take boiled corn on the cob, while still delicious and simple, to a whole new level. Grilled corn is so delicious by itself, but it is also the perfect way to spruce up salads, tacos and salsas too. 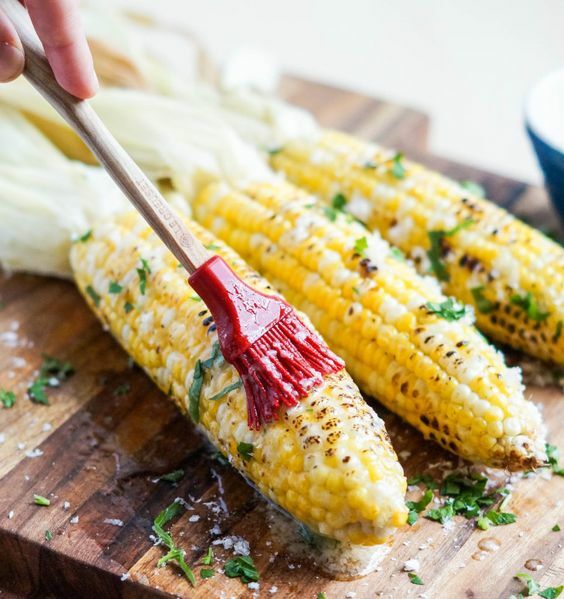 It might seem like a daunting task to some to grill the corn and there are plenty of different methods people swear by, but I followed some tips given by a food blogger named Foodiecrush, and I loved the way it turned out. It is really simple, especially when your grill is already fired up from grilling your meats. To grill corn, simply place it on a hot grill. You can keep the corn in its husks to steam it or place the cobs directly on the grill for more char. Close the grill, checking and turning with tongs, every five minutes or so, for around 15-20 minutes. You want the corn to be tender, and if in the husks should have a good char, but they shouldn't be totally black. After grilling, peel back the husks, remove the silk, and enjoy with one of the infused compound butters below! Some people soak their corn husks in cold water, prior to grilling (the theory is that this will provide the corn with more moisture.) However, I find this step to be unnecessary, as I've never been able to tell a difference. No grill? No sweat. You can still achieve a nice charred flavor by using a cast iron grill pan or skillet. For this method, you will need to husk your corn. Put a little oil or butter in a skillet and get it hot. Place your corn in the skillet and turn every few minutes, getting a nice sear on all sides. If we’re honest, the best part of corn on the cob is the butter. The corn is really just an excuse to eat something slathered in butter and salt haha. Here are some fun tips for making seasoned butters to really kick the corn up a notch. 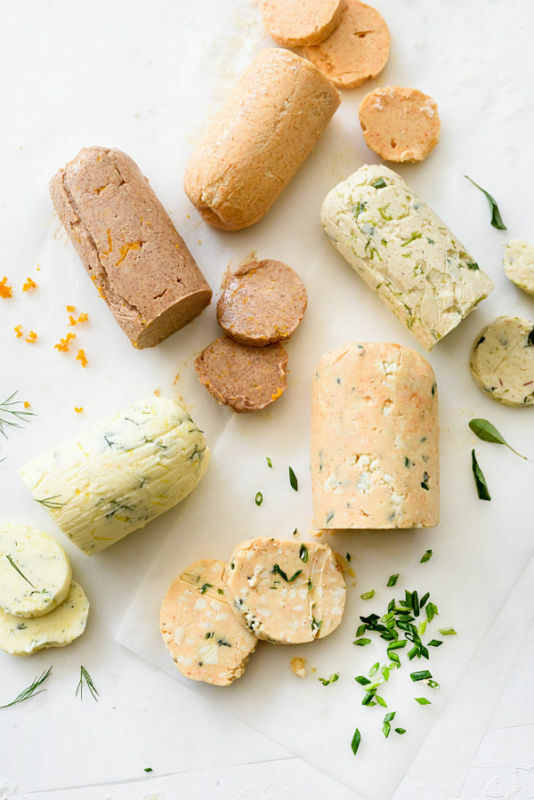 There are also 5 little recipes for different seasoned butters down below. Happy grilling! Room temperature butter is key to making flavored butters. Use unsalted butter so you can control your salty flavor. Softened butter makes it easy to fold your flavoring ingredients into the butter. 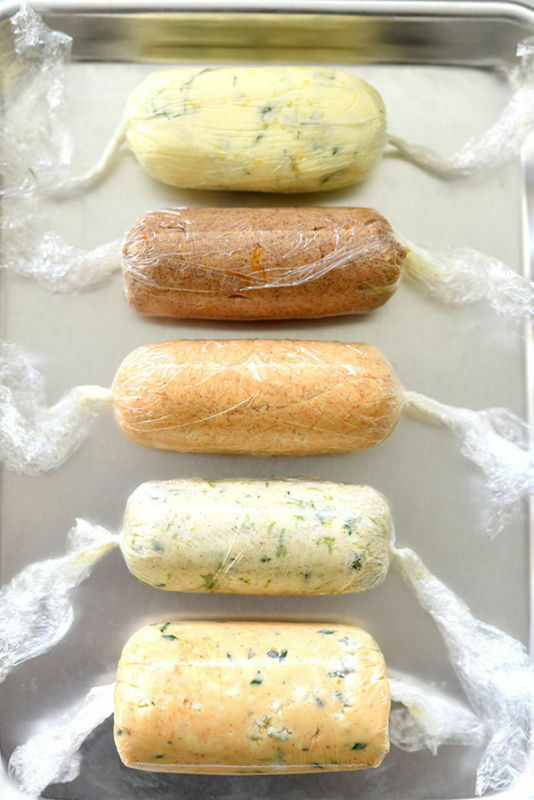 To make the butter logs, simply spoon the butter mixture onto the bottom third of a piece of plastic wrap, then shaped into rolls, twisting the ends of the plastic wrap as you roll. Chill each log for at least 1 hour or freeze for 20-30 minutes for the logs to take shape. 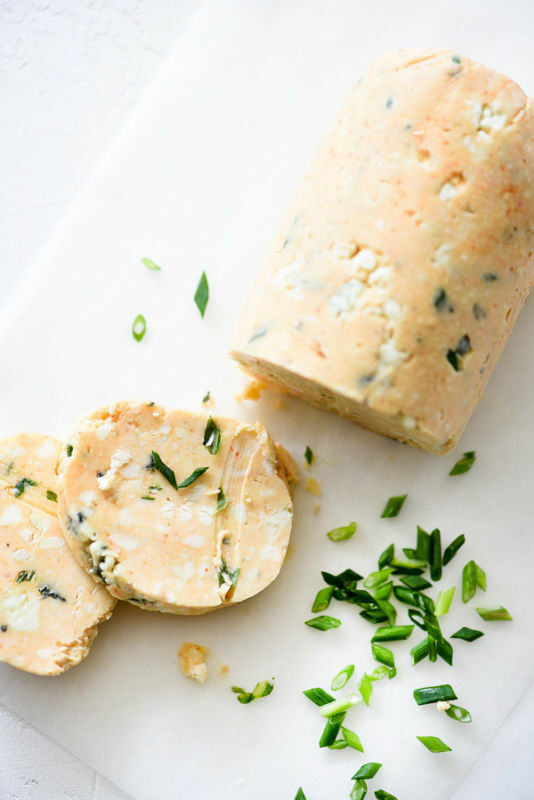 Flavored butters taste amazing on anything from vegetables to pasta, chicken, beef and fish. And of course, hot bread or grilled cheese sandwiches really shine with buttery fixings. The sky's the limit when choosing what to butter next. Mix the ingredients in a small bowl until well combined. Lay out a large piece of plastic wrap on a clean counter. Spoon the butter mixture onto the bottom third of plastic wrap, then roll into a log. Refrigerate for one hour, or until firm.